TY series circular connectors use the high reliable hyperboloid socket as the contacts.This connector has the features of low contact resistance,soft force of mating and unmating,anti-vibration,shock-proof,high reliability,etc.The main technical characteristics is in accordance with Ministry of Railway standard TB/T2761. 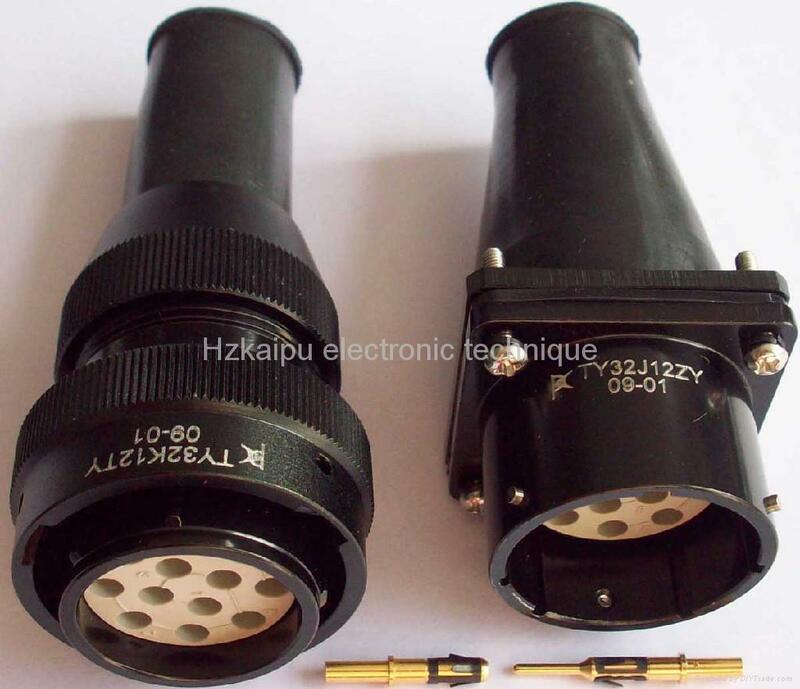 The type of connection between socket and plug is bayonet coupling.This product is widely used for the connection between electrical and electronic equipments for the railway,electricity,etc.Both plug and receptacle may be mounted with pins or sockets. Specifications︰ TY series circular connectors use the high reliable hyperboloid socket as the contacts.These products have the features of low contact resistance,soft force of mating and unmating,anti-vibration,shock-proof,high reliability etc.It's technical characteristics meet Ministry of Railway standard TB/T2761. The type of connection between socket and plug is bayonet coupling.They are widely used for the connection between electrical and electronic equipments of the railway,electricity etc.Both plug & receptacle may be mounted with pins or sockets. Advantages︰ TY series circular connectors use the high reliable hyperboloid socket as the contacts.These products have the features of low contact resistance,soft force of mating and unmating,anti-vibration,shock-proof,high reliability etc.The type of connection between socket and plug is bayonet coupling.